In a way, my search for edible hummus is a story about this blog. When I first began blogging, I didn’t know what I wanted to talk about. At first, I tried writing about topics of interest to the LGBT community: gay rights issues, politics and U.S. Supreme Court cases. Those weren’t my real passion though, and you could sort of tell from the posts. Besides, other people and blogs already did that kind of thing better, and I wasn’t really contributing anything worthwhile. I wanted … I needed to find a topic that I was knowledgeable about, that could inform my writing, because I thought that was a magic bullet that might help boost my blog. I had to find my own voice. That kind of endeavor took time to develop though, like most things in life worth having. I am the worst kind of writer. It’s not that I don’t have anything to say. It’s that I almost always don’t set down what’s stirring in my thoughts. If it can be done later in the day or tomorrow, it’s a sure bet that I’ll procrastinate. I find that beginnings are tough, that endings require an editor’s instincts, and that repetition is my biggest bane. Writing is work. If someone says that it’s easy, don’t be fooled. Writing well requires a devotion to the craft. I sometimes wonder if I’m suited for it. 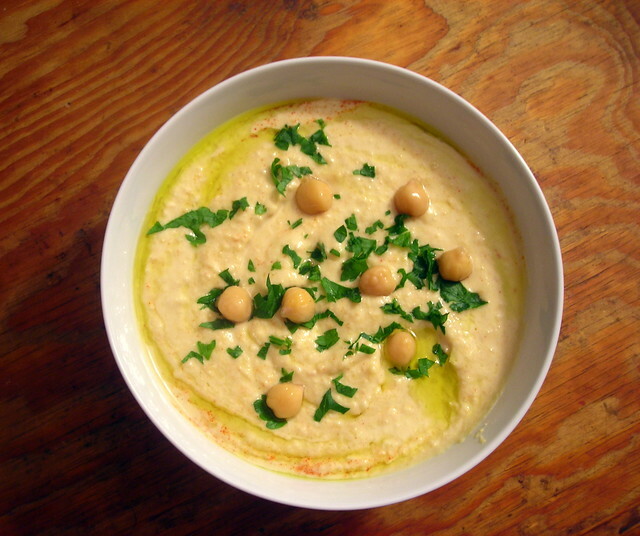 Hummus is one of the simplest dishes ever invented. If you’ve been following this blog for a while, you know that minimalist dishes are also some of the more difficult ones to master. After all, hummus is just puréed seasoned chickpeas. I’ve eaten a nearly infinite variety of hummus over the years: insipid samples made too acidic from an overabundance of lemon juice, bland hummus from not enough garlic or salt, and “foodie” versions such as sun-dried tomato hummus and balsamic vinegar-flavored hummus. I’ve had roasted red pepper hummus, black olive hummus, and dried out, day-old hummus that reminded me of muddy leather boots. Surely, there must exist hummus that’s a winner. This recipe is adapted from Deborah Madison’s Vegetable Literacy, page 383. Deborah instructs you to cook the chickpeas with a pressure cooker. However, given that my kitchen is literally the size of a hobbit’s burrow, that’s not an option. You can elect to use canned chickpeas instead of dried; if you do so, the hummus may have a less nutty flavor and a slightly darker color. Pick over the chickpeas, put them in a large bowl and cover with cold water. Soak for at least 8 hours, preferably overnight. Drain chickpeas (they should have swelled considerably) and put them in a soup pot. Cover with cold water. Bring to a boil over high heat, then lower the heat and let the chickpeas simmer gently. Skim any foam that rises to the surface. Cook for 1 to 1 1/2 hours or until the chickpeas are tender. If the chickpeas seem to be drying out during cooking, add 1/2 cup water to keep them submerged in liquid. Taste for salt and leave the chickpeas to cool in the broth (cooking liquid). The chickpeas may be cooked a day in advance, if desired. You should have about 2 cups cooked chickpeas and roughly half that amount of chickpea broth. Drain the chickpeas while reserving the chickpea broth. Remove a few whole chickpeas for garnish, then put the remainder in a blender or food processor. Add the lemon juice and purée until smooth, adding as much of the chickpea broth as necessary to achieve a soft consistency. Add the tahini and garlic; process until incorporated. Taste for salt and lemon juice. Pour hummus onto a serving dish or shallow bowl. Top with reserved chickpeas. Drizzle a little extra-virgin olive oil, if desired. Sprinkle 1/4 teaspoon minced fresh herbs if using, and serve at once. This recipe makes about 3 cups. Time: 30 minutes, not including prep or the time it takes to cook the chickpeas. 26 Dec	This entry was published on December 26, 2013 at 12:48 am. It’s filed under food, food photography, Gluten-Free, vegan, vegetarian, winter, writing and tagged chickpeas, food photography, gluten-free, LGBT, vegan, vegetarian, winter, writing. Bookmark the permalink. Follow any comments here with the RSS feed for this post. I absolutely love Hummus! Great pic. This looks beautiful! There are some terrible versions out there, aren’t there?!!! Way too many horrid versions, I agree. I thought I might as well make it myself. thank you very much for this! 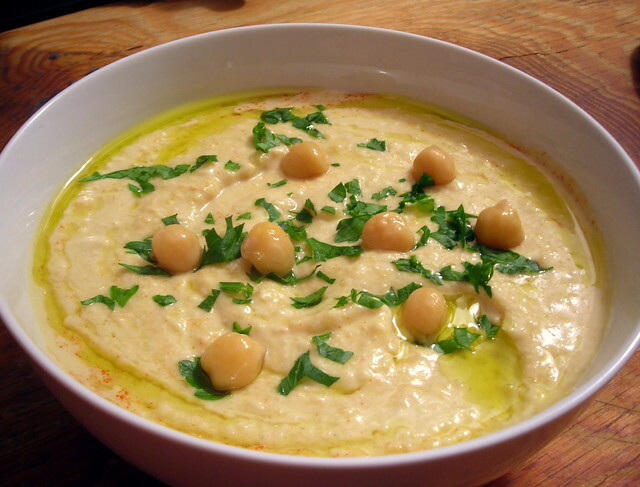 I love hummus; i have been looking for ‘the best and proper’ recipe for such and I am trusting this is the one. Well, I don’t know that this is “the one”, but it seemed to work for me.